Different countries have different standards that silicone products must meet to be deemed safe for human use when in contact with food. Specifically, they shall not transfer their components into the food in quantities that could endanger human health, change the composition of the food in an unacceptable way or deteriorate the taste and odour of foodstuffs. Manufacturers will use a different quality of silicone material depending on their customer’s requirements – which will depend on where the customer plans to sell their silicone products and also to what level of quality they want to offer their own customers. For example, in the US & Australia, the minimum standard for silicone products is ‘FDA’ approved silicone (Food & Drug Administration). Silicone products sold in Europe except for Germany & France must meet the European Food Contact Regulations – 1935/2004/EC. Silicone products sold in Germany & France must meet ‘LFGB’ regulations which is the toughest of all standards – this type of silicone material must pass more intensive testing and is therefore more expensive. “The LFBG (Lebensmittel-, Bedarfsgegenstände-und Futtermittelgesetzbuch, or “Foods, Consumer Goods and Feedstuffs Code”) is sometimes thought to be the European equivalent of the FDA. This is not quite correct. The LFGB is the German enactment of European law as operated by the Bundesinstitut für Risikobewertung (BfR). The BfR recommendations for food-contact materials are some of the more comprehensive in the EU”. Reference. The mark of “Knife and fork” is a symbol of food safety. For food contact material, if there is a “knife and fork” symbol, it means that the product has passed the inspection raised by a number of European countries including Germany. 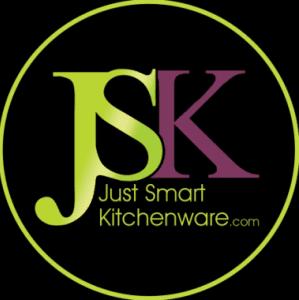 Just Smart Kitchenware cares deeply about the quality of silicone used in our own branded products and as the health of our customers is extremely important to us, we ensure our silicone products are produced to the highest quality using LFGB certified silicone. The price of LFGB silicone is higher than that of FDA silicone which is why our products are priced a little higher than lesser quality products offered in the UK, US and Australian marketplaces – and we make no apologies for that. With a JSK silicone product, you can be rest assured that your health is safe with us.